Ten book Tuesday...books to read over the Easter break. 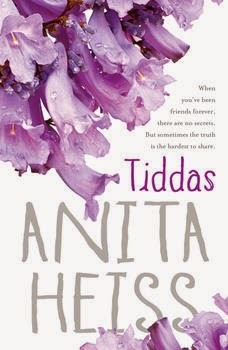 Five women, best friends for decades, meet once a month to talk about books … and life, love and the jagged bits in between. Dissecting each other’s lives seems the most natural thing in the world – and honesty, no matter how brutal, is something they treasure. Best friends tell each other everything, don’t they? But each woman harbours a complex secret and one weekend, without warning, everything comes unstuck. Izzy, soon to be the first Black woman with her own television show, has to make a decision that will change everything. Veronica, recently divorced and dedicated to raising the best sons in the world, has forgotten who she is. Xanthe, desperate for a baby, can think of nothing else, even at the expense of her marriage. After the humiliating end of her last relationship, this is just what TV costume designer, Tess Appleby, needs to hear. 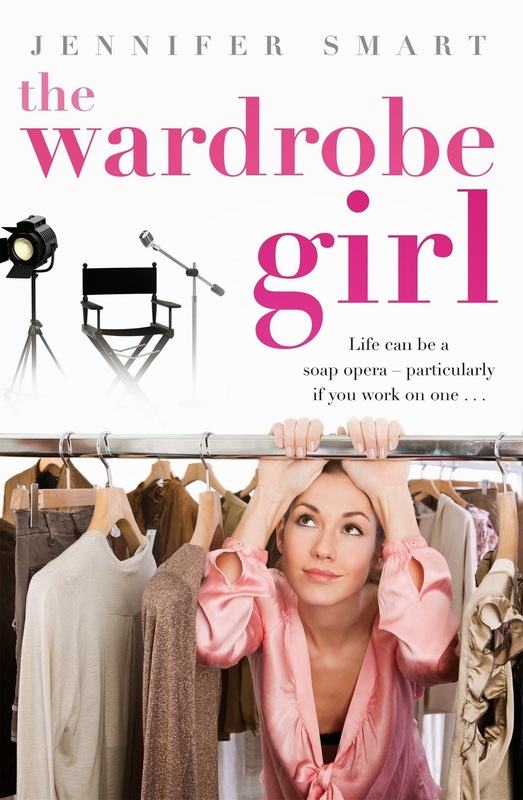 Sure, a wardrobe assistant on a soap is a step down from her gig at the BBC, but all Tess wants is an easy life . . . Unfortunately she's barely arrived on set before she's warding off the attentions of the show's heartthrob, Sean Tyler – and, as a consequence, the hostility of its other star, Bree Brenner. And if the pressures and politics of working on a TV drama aren't enough, she's living with her high-maintenance mother, an ageing celebrity, and her infuriating sister Emma, an aspiring actress. When a girl's dead body is found in a toy box, forensic physician and pathologist Anya Crichton joins the police hunt in her home state of Tasmania for the child's missing mother and sister. Staying with her increasingly erratic mother, Dr Jocelyn Reynolds, Anya fears the long shadow of her sister Miriam's disappearance has finally driven her mother past the brink of sanity. 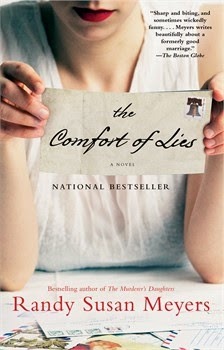 But Anya soon discovers that Jocelyn is keeping a deadly secret. When tests conclude a virulent strain of food poisoning was responsible for the child's death, the outbreak begins to spread. Anya pairs up with Internal Affairs detective Oliver Parke to unravel the sinister connections between the fatal epidemic, a covered-up study, the shady deals of a multinational corporation and the alleged murder of a local scientist. Anya has strayed into a high-stakes game so dangerous the players will kill to keep it quiet. 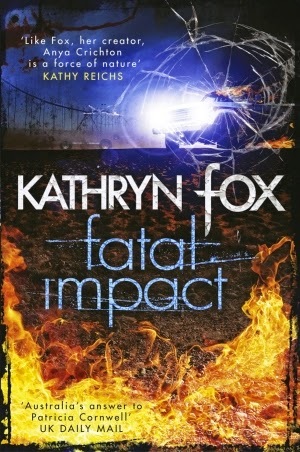 With time running short, Anya must uncover the truth before she is silenced - permanently. Nathan Lochmueller studies birds, earning just enough money to live on. 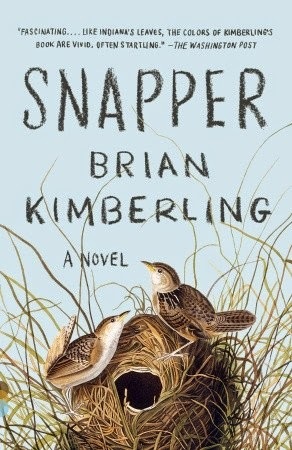 He drives a glitter-festooned truck, the Gypsy Moth, and he is in love with Lola, a woman so free-spirited and mysterious she can break a man’s heart with a sigh or a shrug. Around them swirls a remarkable cast of characters: the proprietor of Fast Eddie’s Burgers & Beer, the genius behind “Thong Thursdays”; Uncle Dart, a Texan who brings his swagger to Indiana with profound and nearly devastating results; a snapping turtle with a taste for thumbs; a German shepherd who howls backup vocals; and the very charismatic state of Indiana itself. And at the center of it all is Nathan, creeping through the forest to observe the birds he loves and coming to terms with the accidental turns his life has taken. Five years ago . . .
Tia fell into obsessive love with a man she could never have. When she became pregnant, Nathan disappeared, and she gave up their baby for adoption. Caroline reluctantly adopted a baby to please her husband. Now she’s ques¬tioning whether she’s cut out for the role of wife and mother. Juliette considered her life ideal: solid marriage, two beautiful sons, and a thriving business. Then she discovered Nathan’s affair. He promised he’d never stray again, and she trusted him. At one time or another, everyone has wished they could be someone else. 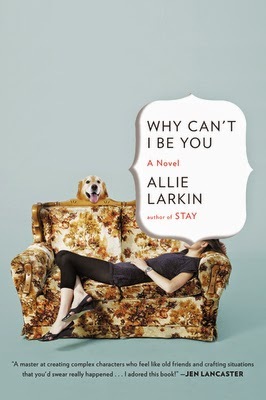 Exploring this universal longing, Allie Larkin follows up the success of her debut novel, Stay, with a moving portrait of friendship and identity. When Jenny Shaw hears someone shout “Jessie!” across a hotel lobby, she impulsively answers. All her life, Jenny has toed the line, but something propels her to seize the opportunity to become Jessie Morgan, a woman to whom she bears an uncanny resemblance. Lonely in her own life, Jenny is embraced by Jessie’s warm circle of friends—and finds unexpected romance. But when she delves into Jessie’s past, Jenny discovers a secret that spurs her to take another leap into the unknown. Rosemary was not yet six when Fern was removed. Over the years, she’s managed to block a lot of memories. She’s smart, vulnerable, innocent, and culpable. With some guile, she guides us through the darkness, penetrating secrets and unearthing memories, leading us deeper into the mystery she has dangled before us from the start. Stripping off the protective masks that have hidden truths too painful to acknowledge, in the end, “Rosemary” truly is for remembrance. Bobby Blue is caught between loyalty to his only friend, Ben Tobin, and his boss, Daniel Collins, the new constable at Mount Hay. 'Ben was not a big man but he was strong and quick as a snake. He had his own breed of pony that was just like him, stocky and reliable on their feet.' 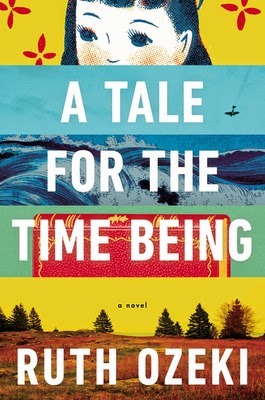 Bobby understands the people and the ways of Mount Hay; Collins studies the country as an archaeologist might, bringing his coastal values to the hinterland. Bobby says, 'I do not think Daniel would have understood Ben in a million years.' Increasingly bewildered and goaded to action by his wife, Constable Collins takes up his shotgun and his Webley pistol to deal with Ben. Bobby's love for Collins' wilful young daughter Irie is exposed, leading to tragic consequences for them all. Sixteen-year-old Boy’s never left home. When you’re the son of Frankenstein’s monster and the Bride, it’s tough to go out in public, unless you want to draw the attention of a torch-wielding mob. 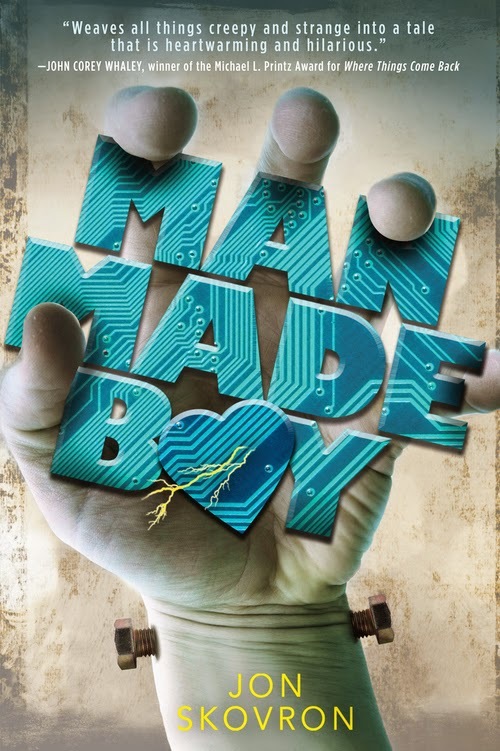 And since Boy and his family live in a secret enclave of monsters hidden under Times Square, it’s important they maintain a low profile.Boy’s only interactions with the world are through the Internet, where he’s a hacker extraordinaire who can hide his hulking body and stitched-together face behind a layer of code. When conflict erupts at home, Boy runs away and embarks on a cross-country road trip with the granddaughters of Jekyll and Hyde, who introduce him to malls and diners, love and heartbreak. But no matter how far Boy runs, he can’t escape his demons—both literal and figurative—until he faces his family once more. In Tokyo, sixteen-year-old Nao has decided there’s only one escape from her aching loneliness and her classmates’ bullying. But before she ends it all, Nao first plans to document the life of her great grandmother, a Buddhist nun who’s lived more than a century. A diary is Nao’s only solace—and will touch lives in ways she can scarcely imagine. 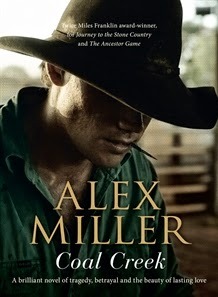 Ten Books for Anzac Day... Lest we forget.